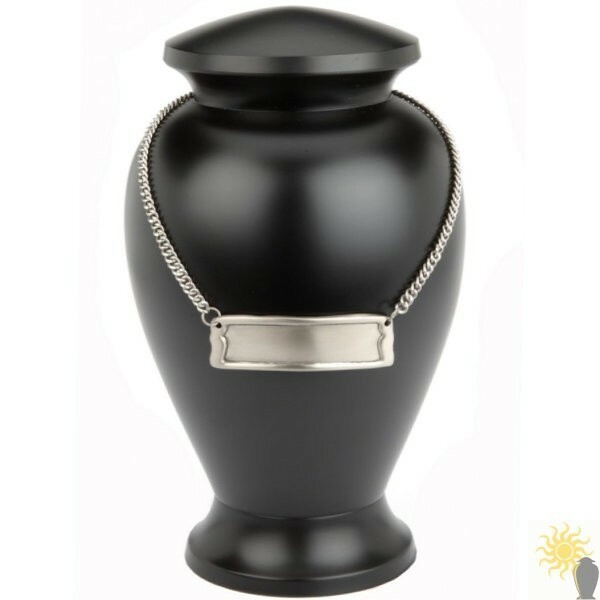 This cremation urn medallion allows you to personalise your urn without risking engraving the urn itself. 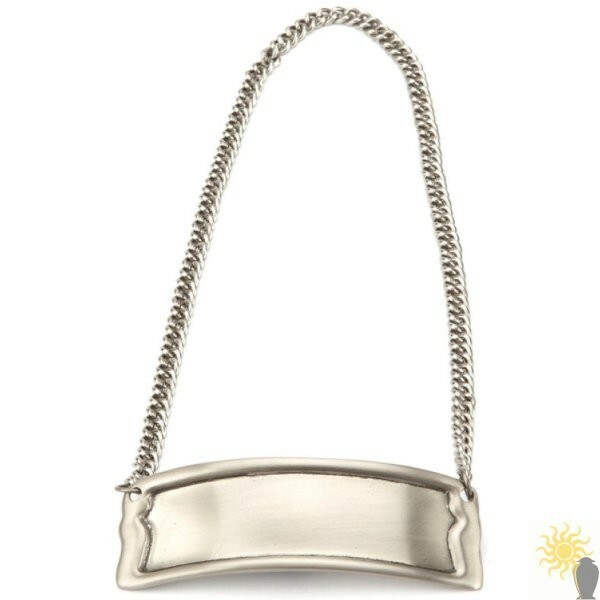 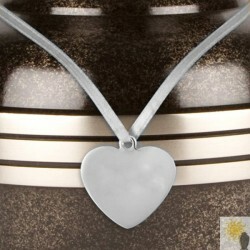 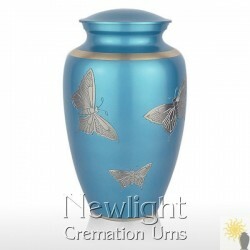 It is designed to be placed around the neck of full any size cremation urn. 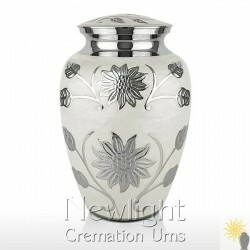 Available in Brass and Pewter and supplied with matching chain, the medallion is 8½cm wide x 2¾cm high.